Arriving at a sale price is not as tricky as you might think. All you have to do it remove your emotions from the equation. Easier said than done, but that’s why you’re hiring a agent! Savvy sellers will understand that their asking price should be based on cold hard facts rather than emotions, family memories and the amount of money they’d like to put in the bank. A good agent will crunch the numbers with you to explain what an accurate asking price for your property would be. Ever wondered how they do it? A agent will research your local market to find a handful of “comps” or comparable recent sales that come as close as possible to matching the features of your home. These are properties that could be in the same neighbourhood, have similar footprint or square footage, have similar sized lots or similar features and amenities. What’s important here is not the original asking prices but the prices that these properties actually sold for. When you know what a similar property sold for a few months ago, you can get a good idea of what your own realistic asking price should be. After settling on solid comparable sales and looking at recent market activity, your agent will arrive at a price range that s/he feels will generate interest among potential buyers. Sometimes this price is lower than the homeowner had originally hoped, but inflating your asking price beyond what the market shows you can expect to get won’t only result in stress and frustration, it will result in a property that does not get sold. Listing your home correctly is the best way to ensure it actually sells. Homeowners often like the idea of setting a higher than recommended asking price when their property is initially listed, especially if they’re not in a hurry to move. The logic is that they’ve got time to wait it out and if they’re lucky someone might just bite and they’ll sell at close to their asking price. 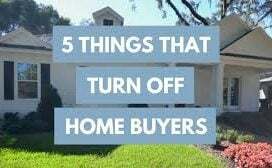 Unfortunately, more often than not, the opposite is true and overpriced properties languish, getting zero attention from buyers while other homes sell easily. An inflated price can just be reduced at that point, right? Yes, it can, but the damage is likely already done. A house that has been sitting on the market for months and months looks unattractive to potential buyers. Buyers who avoided an overpriced property when they thought they couldn’t afford it may have already found something else to make an offer on. Or they may view a price reduction as a sign that there is something wrong with your property and still choose to avoid it. And where does that leave you, the seller? It leaves you with a property that isn’t selling. 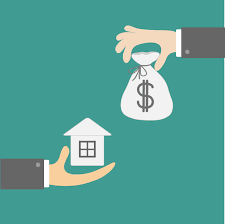 If you can’t sell your current home, you may not be able to purchase your next home…and if you go ahead with that purchase anyway, you’re left carrying two mortgages, which is a situation most of us would prefer to avoid at all costs. The easiest way to avoid this is to list at an accurate price in the first place. Once your property is on the market your agent will gather more information to help determine how your asking price is being received. There is one sure fire way to tell if you’re listed too high: if you’re not booking any showings, you’re too high. If you’re regularly booking lots of showings but not getting any offers, it can be a sign that your property is being well marketed but buyers feel it’s overpriced once they’ve seen the property for themselves. In cases like this, a small concession on the asking price can often result in actually selling the house for a figure that is close to the adjusted asking price, meaning less negotiating and less money left on the table. An accurate asking price can be crucial to making the sale. There are two common mistakes made by sellers when arriving at an asking price for their home: confusing actual value with sentimental value (the amount of time you’ve spent in your home and number of good memories your family has created there do not increase its value to anyone but you) and assuming renovations and upgrades will result in a dollar-for-dollar increase in their sale price. 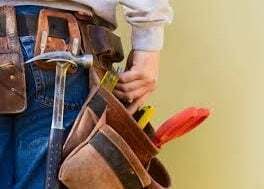 Renovations and improvements are worthwhile when they make your home more enjoyable for you and smart renovations can make your home more comfortable and functional for the next owners, but if you’re fixing your property up to sell it is important to know what renovation costs you can expected to recoup and what upgrades will appeal to potential buyers. Your realtor can help you with that and can help to insure you don’t “over-improve” your property. Making major additions or upgrades that don’t take your immediate neighbourhood into account can run the risk of creating a disconnect with potential buyers. Those who might be able to afford your home prefer to be in a different neighbourhood and those who can afford the neighbourhood can’t quite swing your asking price. The best bet is to make any major changes to your home in order to please yourself and your family rather than assuming those changes will eventually allow you to sell in a higher price bracket. If you are upgrading to make your home more attractive to buyers, talk to a trusted agent to get an idea of prices in your immediate area and which upgrades would be most cost-effective in helping you achieve an eventual sale. When it comes to selling your home, arriving at an accurate asking price is a crucial piece of the puzzle. A good agent will use data and information to make sure that your asking price is working for you, not against you. 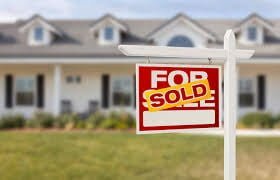 After all, a good agent wants the same result as you, to see a “SOLD” sign on your front lawn!